76 years ago Today Japanese planes attacked the United States naval base in Pearl Harbor, Hawaii, killing more than 2,300 Americans. Back in 2001 I traveled to Honolulu to give a live tribute to survivors on the 60th anniversary of Pearl Harbor with The History Channel. I landed in Honolulu on December 6th, the temperature was 67 degrees and there wasn't a cloud in the sky. I remember walking off the plane and thinking I was in paradise, the colors were magnificent and I have never seen water so clear. Honolulu, Hawaii is one of the most beautiful places on earth, and to have such a horrific, devastating disaster happen there, seemed ironic and unfathomable. 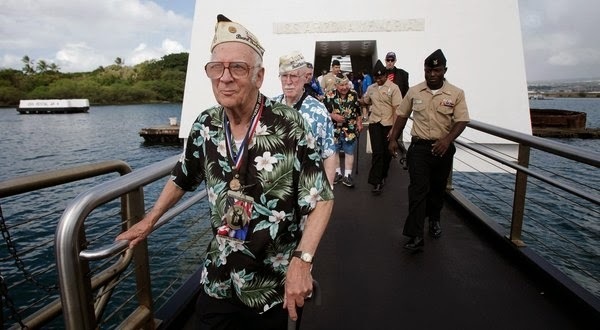 Reporting live from the USS Arizona's Memorial, interviewing survivors was a moment I will never forget. I remember looking down into the water underneath me, seeing straight to the bottom of the sea thinking everything was so calm and peaceful, until I saw the Arizona. The thought of peace instantly disappeared from my mind replaced with terror and sorrow. As I was interviewing some of the survivor's I vividly remember the look they had in their eyes, it was as if they were sadly reliving those tragic moments as they each told their own personal stories of what they remember from that day. Witnessing these older men be brought to tears 60 years later was heartbreaking. 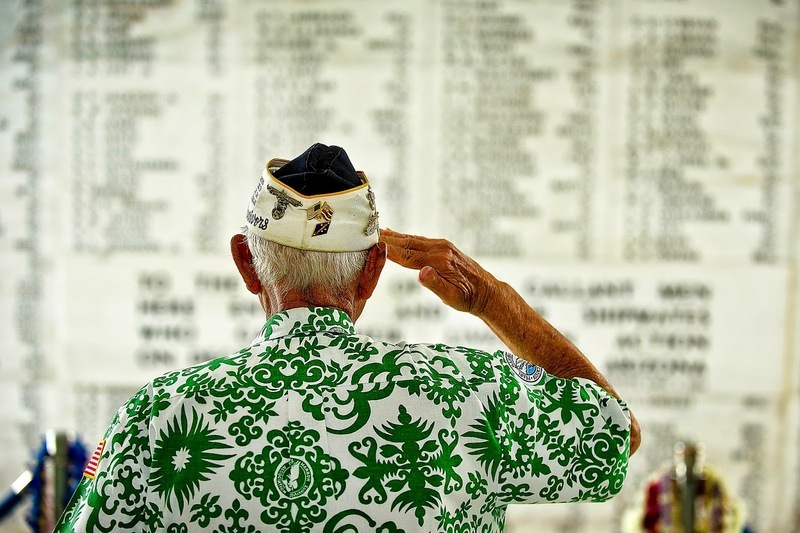 For some men December 7th, 2001 was the first time they returned to Pearl Harbor and I can't imagine how they must have felt. Some people might argue that Pearl Harbor was the greatest turning point in our countries history. This attack entered our country into the second world war. 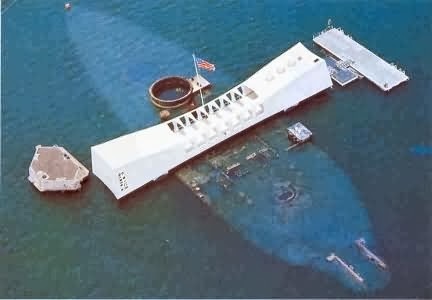 It is truly "a day that will live in infamy" - Franklin D. Roosevelt.